With the mornings brighter, the evenings getting longer (I'm pretty sure it was light until almost 6pm today, it's practically summer!) and the temperatures reaching balmy double figures I am feeling positively Spring-like. Yes, I know the mercury might only be hitting ten or eleven celsius for some of us this week, but it beats the frosty mornings and chilly air. I'm throwing open the curtains in the morning and if I'm really lucky and am blessed with an early finish at work, I can get home to see the last moments of daylight. I really do live for the summer! All this light, bright weather has got me thinking about getting more light into our little home. I was excited when it started to stay lighter after 4pm, whoop whoop! I love the H&M home range so pretty. 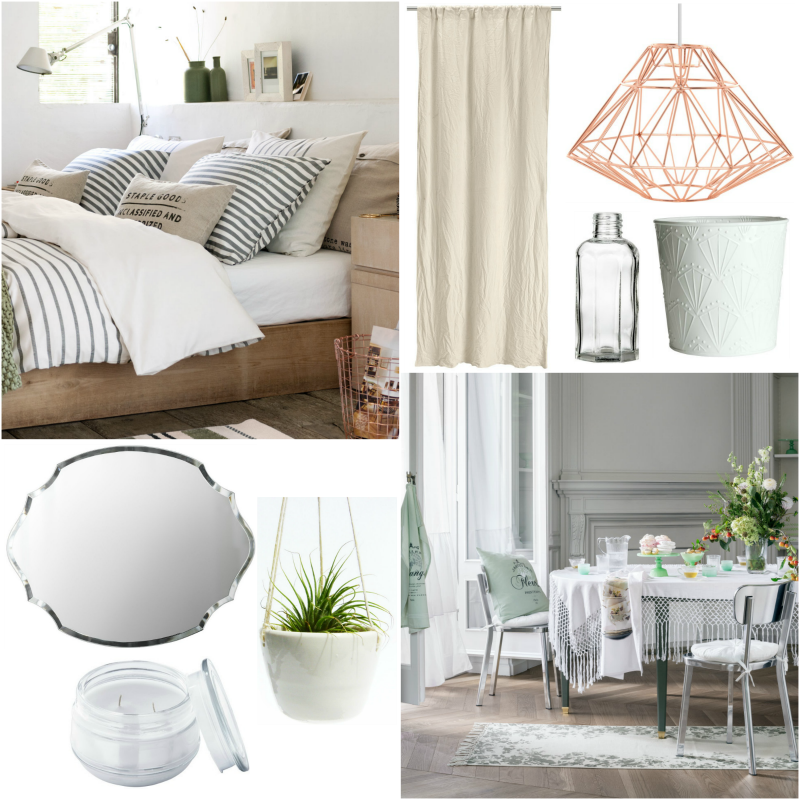 Love the copper lampshade and bed linens! Definitely feeling the spring vibes coming through the drab, dull end of winter and it's making me wish for new brightness too!